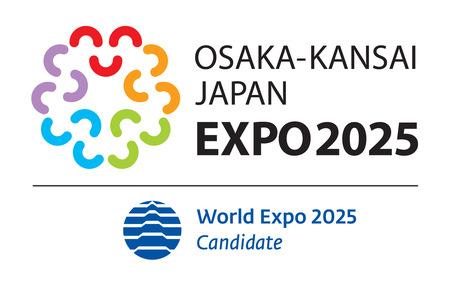 TOKYO, July 31, 2018 /PRNewswire/ — The Government of Japan and the Japan World Expo 2025 Committee (hereinafter “the Committee”) have been conducting activities at home and abroad seeking to host the World Expo 2025. From July 21, the Committee took the initiative to begin an event-oriented campaign in which Pokemon, one of the Committee’s “Special Envoys (Mascot Characters),” boosts bidding activities at the Pokemon Center Mega Tokyo in Ikebukuro and elsewhere in Japan as part of efforts to win the bid to host the World Expo. The campaign website “Pokemon EXPO Type Check” was launched in June to help people support the bidding activities together with Pokemon, and “original goods featuring Pokemon and the World Expo bid” began to be distributed from July 21 in the second phase of the campaign. In Japan where summer vacation already started, many people, mainly children and young people, flock to 26 Pokemon Centers/Pokemon Stores (facilities to offer information on Pokemon and sell Pokemon-themed goods) across the country every day where original goods are distributed. 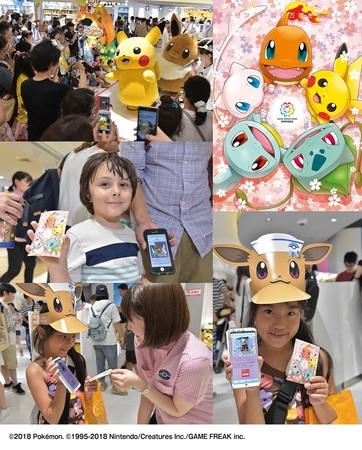 The Pokemon Center Mega Tokyo in Ikebukuro, one of the campaign venues, was crowded with smartphone-carrying children and Pokemon fans from Japan and abroad. As for “Pokemon EXPO Type Check,” each visitor is diagnosed as one of the designated types after answering 10 questions about Pokemon and the World Expo. Then, each visitor can receive an original photograph (a supporter’s certificate) taken together with Pokemon which varies from one type to another. Fifty-four Pokemon appear in the type check, allowing visitors to be excited about which Pokemon picture he or she can get. This campaign is designed to help people enjoy supporting Japan’s bid to host the World Expo together with Pokemon. In fact, it is not only enjoyable but constitutes an activity with social significance. As its rationale for hosting the World Expo, Japan is committed to contributing to the Sustainable Development Goals (SDGs) adopted by the United Nations General Assembly. Each supporter’s certificate of “Pokemon EXPO Type Check” lists the outcome of diagnosis as one of the goals. In short, visitors can touch on the World Expo and the SDGs through Pokemon while having fun, constituting important educational activities on social issues for young generations. As the host of the World Expo is decided in November this year, each candidate country’s campaign is entering the final stretch. To contribute to achieving the SDGs, Japan, setting out the theme of “Designing Future Society for Our Lives,” has broached the idea of making the World Expo work toward solving problems faced by countries of the world rather than developing itself. To realize the SDGs’ concept of “inclusiveness,” Japan is conducting bidding activities involving not only the Government and business people but also the general public, including children and young people. Pokemon, which is popular among young people who have never experienced a World Expo, and a famous entertainer in Japan have become “Special Envoys” to serve as a bridge between state-level goals and grass-roots level interests. If Japan wins its bid to host the World Expo, it will be the first such event to be held in Japan in 20 years since Aichi Prefecture hosted the World Expo 2005. The World Expo 2025 will attract attention not only from neighboring countries but from around the world with the help of Pokemon’s power. *If a Pokemon image or relevant graphical content is used, please list the following credit. (C) 2018 Pokemon. (C) 1995-2018 Nintendo/ Creatures Inc./ GAME FREAK inc.